Mary Louise (Covell) Cary was born June 19, 1930 in Shawnee, Kansas to Evelyn Edna Staudemyer and Orvis Jesse Covell. She was their fourth daughter, with older siblings Orvis J Covell, Jr., Evelyn Van Kemseke, and Jean Tiner, and younger siblings Virginia Francis Meier, and George Willilam (Bud) Covell. 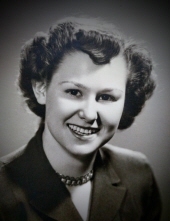 Mary attended college at Missouri State Teachers College in Warrensburg, MO, receiving her degree in 1953, which is also the year she married Eular H. (Brick) Cary on April 22. The two began their life together in Garden City, MO, where their daughter Denise Renee was born in 1954. Their second child, Cary Harwood (Bud) Cary was born in 1958 while they lived in Harrisonville, MO. They moved to Grandview in 1958. The third child, Brian Steele Cary, was born in 1961. In 1959 Mary led her family to St. Matthew Presbyterian Church, where they continue to worship. She was active in church activities, including the Directorship of Christian Education department for many years. She was often seen with a paintbrush in her hand, helping to keep the church walls looking fresh and new. Mary was a diligent homemaker. She resumed work outside the house as a substitute teacher and librarian after all three children were in school. Mary and Brick enjoyed retirement, traveling to Canada and Mexico. They purchased a trailer in Mission, TX and spent winters in the warmth for twenty-four years. In addition to her parents, Mary was preceded in death by all of her siblings, and a granddaughter, Ashley Brooke Cary; her sister-in-law and brother-in-law, Betty (Cary) Hinton and Thomas F. Hinton. She is survived by her husband, Brick; her children Denise (Ronald), Bud (Elaine), and Brian; her grandchildren, Natalie (Frank) Vayo, Elizabeth (Walt) Craft, Kendal Durham, and Alyson (Nate) Thompson; her great-grandchildren Luke, James and Eliza Jane Craft; and many treasured nieces and nephews on both the Covell and Cary side of the family. Funeral services will be 11:00 a.m., Tuesday, March 26, 2019 at the St. Matthew Presbyterian Church, 2217 High Grove Road, Grandview, Missouri. Family will receive friends from 10:00 a.m. until 11:00 a.m., Tuesday, March 26, 2019 at the church. A graveside service will be 2:30 p.m., Tuesday, March 26, 2019 at the City Cemetery in Higginsville, Missouri. Funeral arrangements are under the direction of the Dickey Funeral Home, Harrisonville, Missouri. To plant a tree in memory of Mary L. Cary, please visit our Tribute Store. "Email Address" would like to share the life celebration of Mary L. Cary. Click on the "link" to go to share a favorite memory or leave a condolence message for the family.